You can bring the restorative Fusion 3 Salon experience home with you. Brew up a hot cup of AVEDA’s certified organic peppermint licorice tea and let your hair hybernate with these rich moisture masks guaranteed to keep your hair soft in the most bitter cold. Apply these deep conditioners mid-shaft to ends after you shampoo. Leave on for 20 minutes – or overnight wrapped up in a soft jersey t-shirt. Rinse and enjoy your sweater-soft locks. 1. 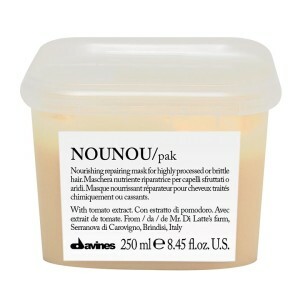 NouNou Hair Mask is an award-winning favorite. Add NouNou to your weekly routine if you color your hair, or if you suffer from otherwise brittle conditions. 2. 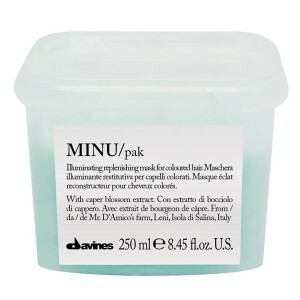 Minu Pak is another must-have for color-treated hair. The caper blossom extract adds pretty shine to the hydrating process. 3. 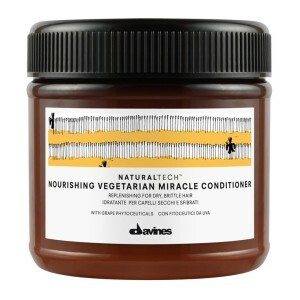 Davines NaturalTech Nourishing Vegetarian Conditioner offers deep conditioning to improve comb-ability and even out the hair structure. How do we do this without the use of meat proteins? 4. 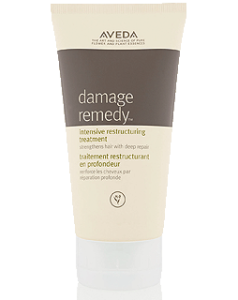 Stylists and Beauty Editors love Damage Remedy Intensive restructuring treatment. This mask is packed with quinoa protein to strengthen damaged and chemically-treated hair with deep repair. The quinoa-packed treatment fills in damaged cuticles to help strengthen and reinforce hair—which also makes it more resilient to future damage. If you color your hair or are planning a winter transition (black to red for this author), you need a tube of Damage Remedy in your shower. It replenishes natural oils with jojoba, to leave hair looking and feeling healthy, shiny and strong. This is but one part of a four-step restructuring system. If you are serious about rehabilitating your hair, you will want to jump on this bandwagon today. Kick your New Year into gear by scheduling your 2016 appointments with us. It is the best way to ensure your favorite stylist at your favorite time.